Ulf Nordfjell is a botanist, ceramicist and landscape designer. 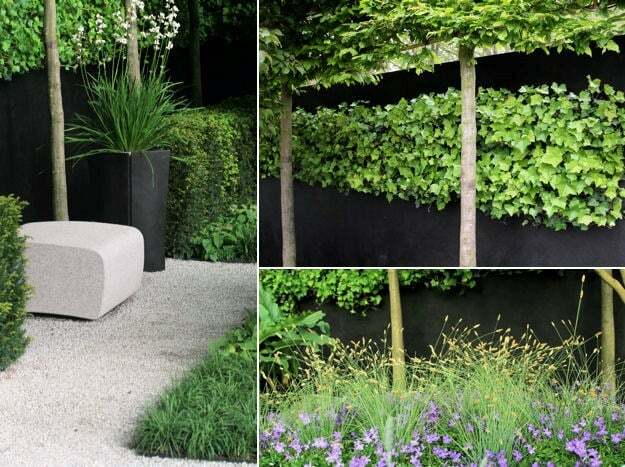 His work is characterised by two things: an ability to set contemporary buildings in a garden setting and a desire to choose plants that have their genetic origins in the landscape beyond. ’My wish is that all who see the garden will become aware of its ecological subtext of using the right plant in the right place’ he says. 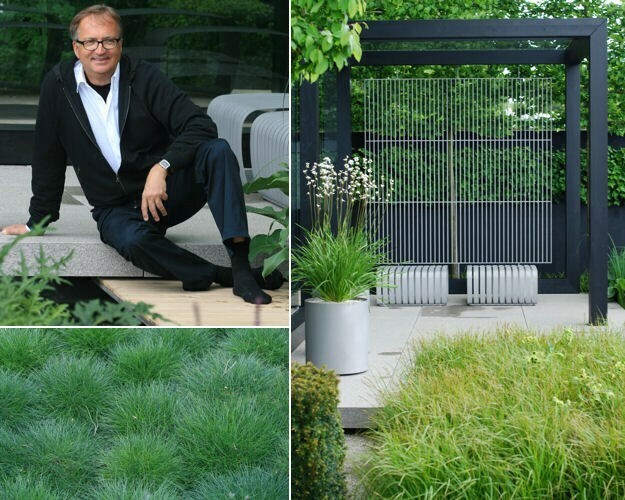 Although the way Ulf combines his plants may echo the English tradition, this garden is essentially Swedish in design. 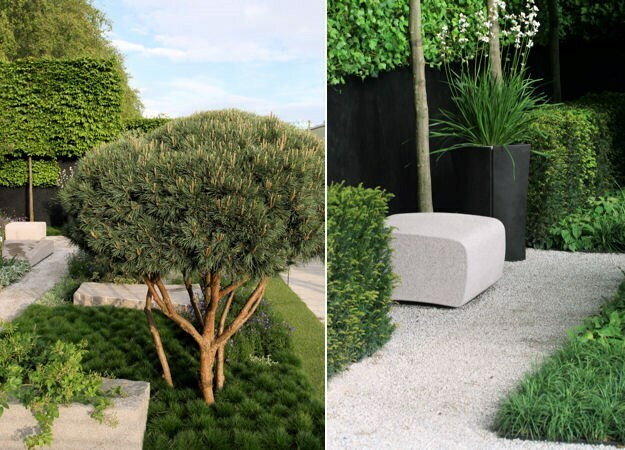 The hard landscaping uses a grey Swedish granite, the building is in pine and hardened glass and the plant palate is of blues, whites and grey. 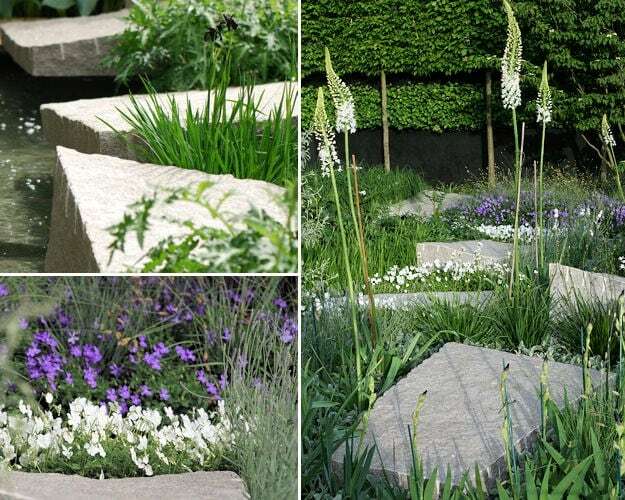 Key plants are Eremurus ‘Joanna’, Selinum wallichianum, Crambe maritima, Viola cornuta alba and ‘Belmont Blue’, Iris chrysographes `Black form´ and ` Tropic Night´. But the star plant of his garden way well turn out to be Sesleria nitida. A bit like Elijah Blue Fescue on steroids - this moor grass is steelier, neater and has pert, fluffy seedheads that arrive in early spring. Although Scandanavian in origin, the UK may soon be it’s adopted homeland. Of the trees and shrubs, 5 beautifully cloud- pruned Pinus sylvestris ‘watereri’ will catch the eye as will a large Cornus kousa in full flower. "Gardens are to be celebrated as one of the most complex forms of culture", says Ulf, " as they unify architecture, nature and art". It is likely that most people who see Ulf’s garden will agree with him.